Medical & Aesthetics Training Academy are extremely proud to be brining Botox Courses Dundee and introducing Level 7 BOTOX® training to Scotland! The demand for qualified aesthetics practitioners in Dundee, and across the UK, is rapidly increasing. BOTOX® practitioners have confirmed a huge growth in the industry across all ages, so you can be certain that adding BOTOX® to your skill set will be a lucrative move. MATA’s BOTOX® training course is ran out of our location in Glasgow and is a great investment, when establishing a client base the cost of the course can easily be covered after administering just a handful of BOTOX® procedures. The risks which accompany injectable procedures are real and consequential. To be confident that you are able to legally and safely practice anti-wrinkle injections in Dundee your first step would be to ensure you undergo the absolute best training available. MATA is one of the most widely recognised and acclaimed Botox training academies in the aesthetics industry. We have developed courses and qualifications which have advanced and paved the way in the medical aesthetics training arena. Our Harley Street based organisation has been granted numerous awards for our commitment to improving practice and safety standards within the sector. 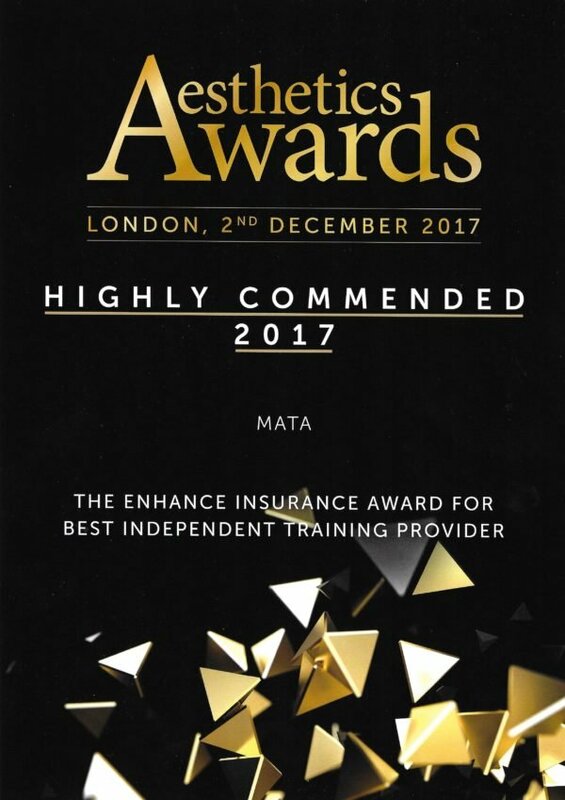 The quality of our courses, qualifications and trainers are of the highest, so you can feel confident that when enrolling on a MATA course you are signing up to train amongst the best. We are an incredibly well established training academy in the UK’s capital of London. 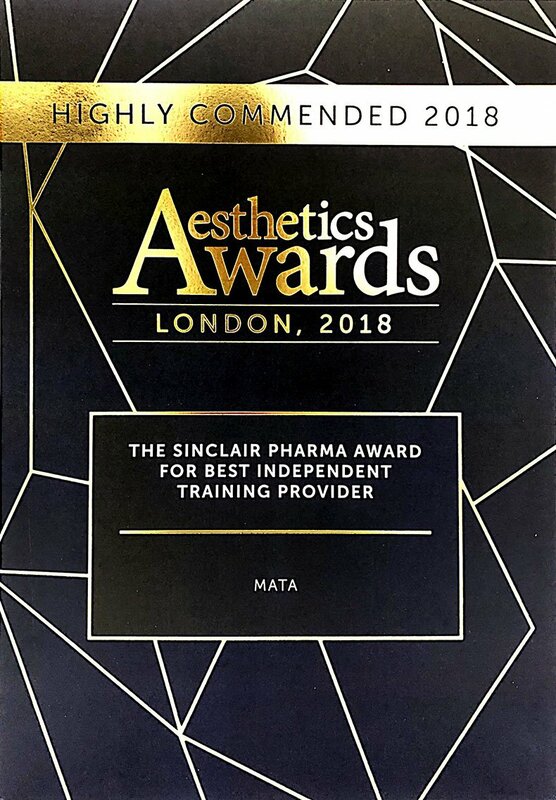 Founded in the prestigious medical centre of Harley Street, MATA has won multiple awards for our part in making the business arena of aesthetics a safer place. Patient safety, and going above industry regulations is our priority. By the time you have been awarded a certificate by MATA, we will have ensured you hold all the knowledge, skills, and meet every requirement necessary to legally administer BOTOX® in Dundee. An understanding of Facial anatomy is the starting point for our Foundation Level. From there, a solid skill-set for treating all areas of the face is built by developing on this understanding. Trainees will gain essential experience via demonstrations and real volunteer patients whilst learning the importance of patient assessment. Because our BOTOX® training compliments the Dermal Fillers training so well, most delegates opt to study both on one of our two-day weekend courses. The Foundation and Advanced levels count towards our UK Level 7 BOTOX® Qualification, an industry and A SQA recognised qualification which is Level 11 on the Scottish CreditQualifications Framework. MATA will provide you with the skills needed to safely and effectively carry out anti-wrinkle injections to extremely high standards. You will learn about all aspects of BOTOX® treatments including facial anatomy, different brands and products, carrying out correct patient assessments, consents and medical histories, contra-indications, carrying out treatments and techniques, complications and how to deal with them, how to deal with complaints, post-treatment care and much more. Theory studied in your own time using our university-standard online virtual learning environment (VLE). MATA’s VLE is full of written resources and interactive tests and quizzes. Practical face-to-face training where you will carry out hands-on treatments, starting with cadaverous materials and later progressing on to volunteer patients. Unlike most academies, we keep our practical group sessions small to ensure that you get the maximum face to face time with your tutor and as much hands on practice with the live models as possible. After completion of the course you will receive your MATA certificate which can be used to obtain insurance to carry out treatments and start your journey into the world of aesthetics. Our tutors are experts in aesthetics, with a great deal of tutoring experience in the industry. Following your training, our support team are always on hand for any questions and assistance you may require after completing your training. What can I expect and what is covered in the content of each course? Including self-study using MATA’s VLE, the Foundation BOTOX® Course should take around 100 hours to complete. Course subject matter is comprised of four core units and one optional unit. If you don’t fall into any of these categories but think you may be suitable to study with us, please get in touch. In order to study our BOTOX® Advanced Level, prospective delegates must have completed our Foundation Level (or a similar qualification elsewhere) first. Home to the University of Dundee, a centre internationally recognised for its expertise across science and medicine, there is a vast array of attractions in and around Dundee. From the Verdant Works and Discovery Points Museums, to the Dundee Law geological formation Dundee is filled with wonderful sights sure to make any visit a memorable one. A historical, coastal city, Dundee is rich with unique views, culture and heritage. Whether it is museums and art galleries, native restaurants and quirky pubs or architectural marvels you are most interested in Dundee can certainly provide the entertainment you are looking for.